1458: the number of innings a Major League Baseball team will play in a season, if they played a nine-inning game every time out. Of course, the number is usually even larger due to extra innings. The San Francisco Giants, for example, played over 1500 innings this year. Nine: the number of innings that can bring a wild card team’s season to an abrupt, brutal end under the current format. Six long months of baseball, 162 games, and around 1500 innings played all boil down to 27 outs on one October night. Is it exciting? Absolutely. Is it fair? No. When the wild card was introduced in 1994, four teams made the playoffs in each league; the three division winners and one “wild card,” or the team with the best record that didn’t win their division. The wild card team faced the top-seeded division winner, and the other two division winners battled. In 2012, amid declining TV ratings, MLB made a significant change. There would now be two, not one, wild card teams from each league. The two play each other in a one-game playoff, with the winner advancing to take on the top-seeded division winner. Certainly, there are numerous benefits to the current format. For one, if the ultimate goal for the MLB is ratings and revenue, the wild card games have been a success. Last year’s NL Wild Card Game was the highest-rated baseball game on ESPN in 13 years, while Tuesday’s Yankees-Twins matchup was up 58% in ratings from last year, of course boosted by the New York market. MLB has also done their best to introduce Wild Card Game merchandise, as if celebrating a one-game playoff victory is worth a $30 shirt. There are, though, some less-practical and more valid improvements with the change. There is nothing like the excitement of a win-or-go-home environment; it’s partly why March Madness and the NFL playoffs can be so thrilling. It also allows for an extra team to make the playoffs, a welcome change in a league that admits a dramatically lower proportion of teams to the postseason than the NBA, NFL, or NHL. And it also deservedly gives a more distinct advantage to the division winners, preventing the type of strategy that occurred in 2010, when the Yankees essentially handed the division to the Rays so they could get a more advantageous matchup. Baseball, however, is not football or basketball. It is not a game of quarters and halves, it is a game played in series. Imagine deciding an NFL wild card game after only a 15-minute quarter, or an NBA playoff game in a 24-minute half. It’s exciting, but due to the randomness of sports, it’s also far less likely to determine the better team. 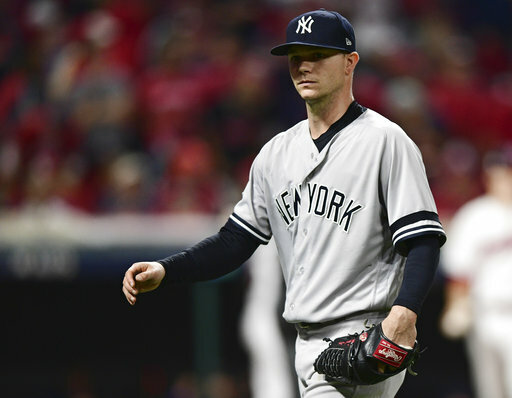 And in baseball, where you have dominant pitchers (like, say, 2015 Dallas Keuchel ruthlessly mowing down the Yankees in the Wild Card Game), it’s even more unjust to weigh an entire team’s worth in nine innings. The Yankees (apologies for the number of times they’ve been referenced, it’s completely coincidental, I promise) have been both victimized and helped by the format. In 2015, as aforementioned, it was their downfall. But on Tuesday, they stacked their roster with relievers, knowing if they lose, the relievers will have all winter to recuperate—and their bullpen won them the game. The question becomes, if not the current format, what instead? The way I see it, there are three ways the MLB could go if they decided to change the format. One would be to simply revert to the old system with only one wild card per league. However, I do think that having 10 teams make the playoffs is an improvement over eight. After all, in the old system, the Rockies and Twins wouldn’t have even earned a postseason berth. The result was the same, but I’m sure they’d take a one-game playoff on a national stage over sitting at home. So if you are going to keep some kind of wild card “play-in” game, I think there are two options. First would be playing a best-of-three series, as Mr. Girardi suggested. It couldn’t be any longer than three games at risk of not only wiping out the wild card winner’s pitching, but also forcing the division winner to wait a detrimental length of time to play, and just pushing the whole World Series back. Some have questioned, though, whether even three games is too long. The series would have to be played on three consecutive nights, a tough task if the teams are geographically scattered. It would also give the wild card team quite a significant disadvantage, as starters would have to go on short rest. The other option, and the one which would be a fascinating experiment for baseball, would be to adopt a kind of double-elimination mentality. It would be, at most, a two-game series. The higher-seeded wild card would only have to win one game to advance, while the lower seed would have to win two in a row. This option gives more weight and validation to the regular season, and would make the wild card race more significant. The downside would be that it would often still be only a one-game series, as it is now. But at least there would be the potential for another game—and since both games are do-or-die for at least one team, it would not sacrifice any of the excitement of the current format. Of course, both options have their drawbacks, mainly in that both give a major advantage to one team: A best-of-three series favors the well-rested division winner, while the double-elimination-game-of-sorts probably gives an excessive advantage to the higher-seeded wild card. Yet both, in my estimation, are an improvement over the current system. Do I love the intensity and finality and “leave-it-all-on-the-field-because-this-could-be-the-end” mindset of the current format? Absolutely. But it’s not baseball, and it’s not necessary. I’ve seen the repeated argument that the Wild Card Game is “like a Game 7!” Well, in case you didn’t notice, we already have those in baseball. And we have win-or-go-home Game 5’s in the divisional series, and we could have elimination Game 3’s in a wild card series. Major League Baseball should stop trying desperately to appeal to casual fans who just want excitement. Postseason baseball is exciting enough on its own.